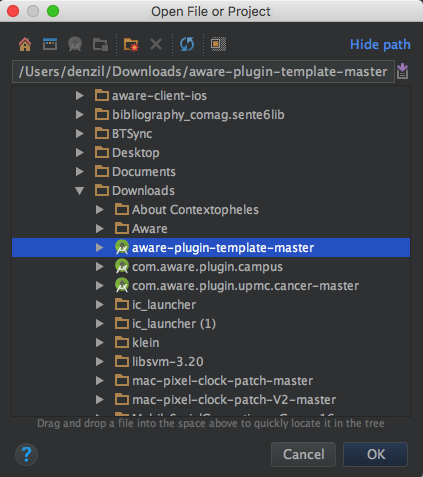 AWARE plugins have many uses. In a nutshell, they are extensions that allow developers to implement custom code leveraging the other offered sensors, or even other plugins. A plugin may refine context offered by other sensors, thus providing new type of perhaps more accurate or more human readable context. 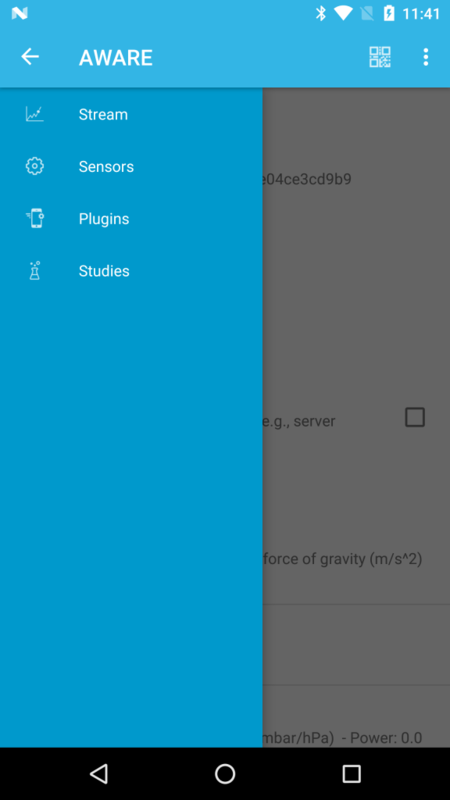 Basically, when you need custom code and logic for your study, or custom user interfaces, you’ll need to create an AWARE plugin. Press Update. 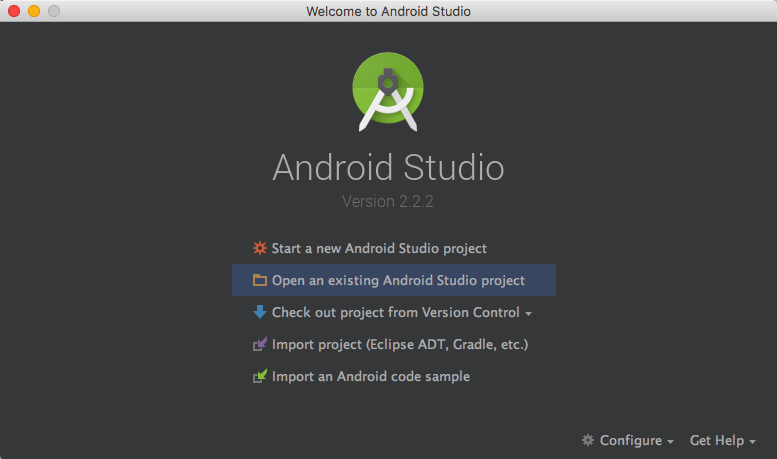 After this step, Android Studio loads the project. 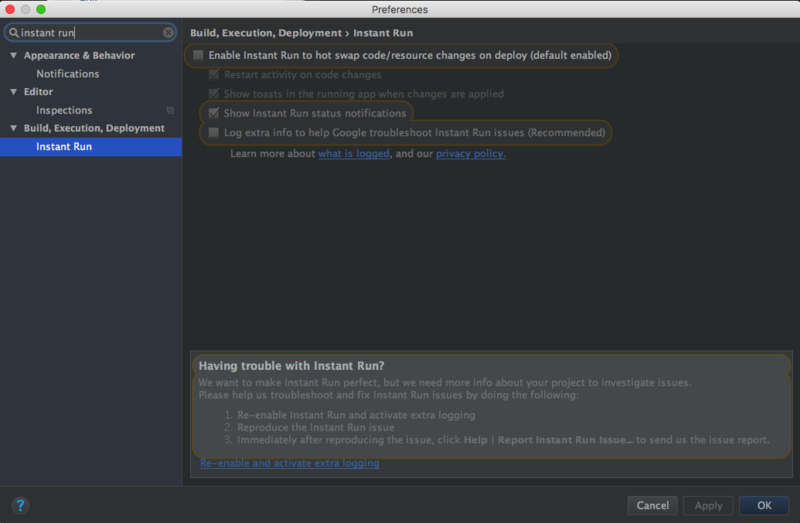 At this point, Android Studio will request any missing libraries, updates, etc that may be required. 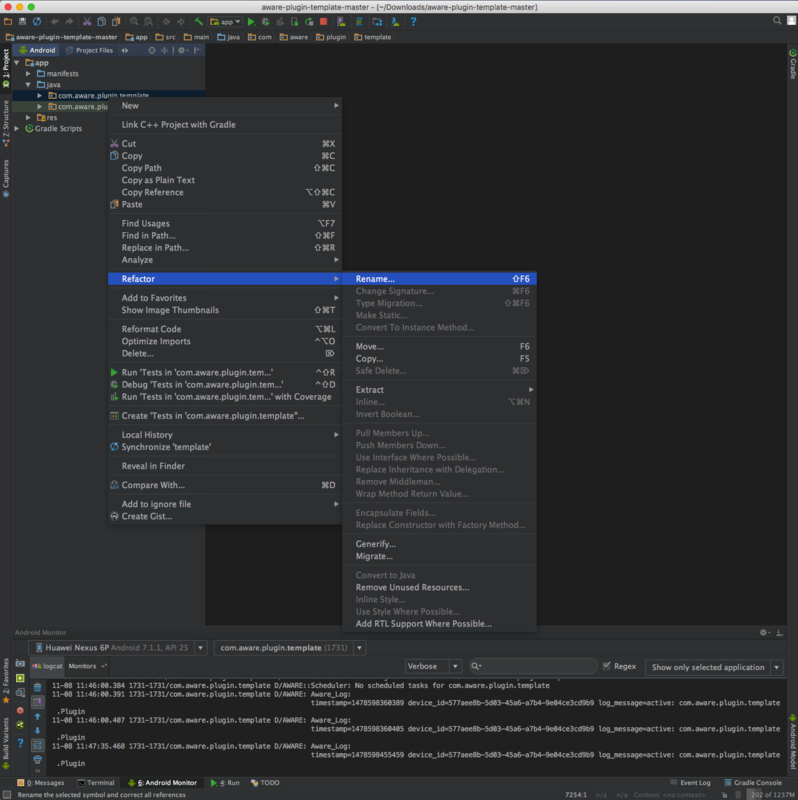 The import will be seamless if you have an up-to-date Android Studio + Android SDK libraries. 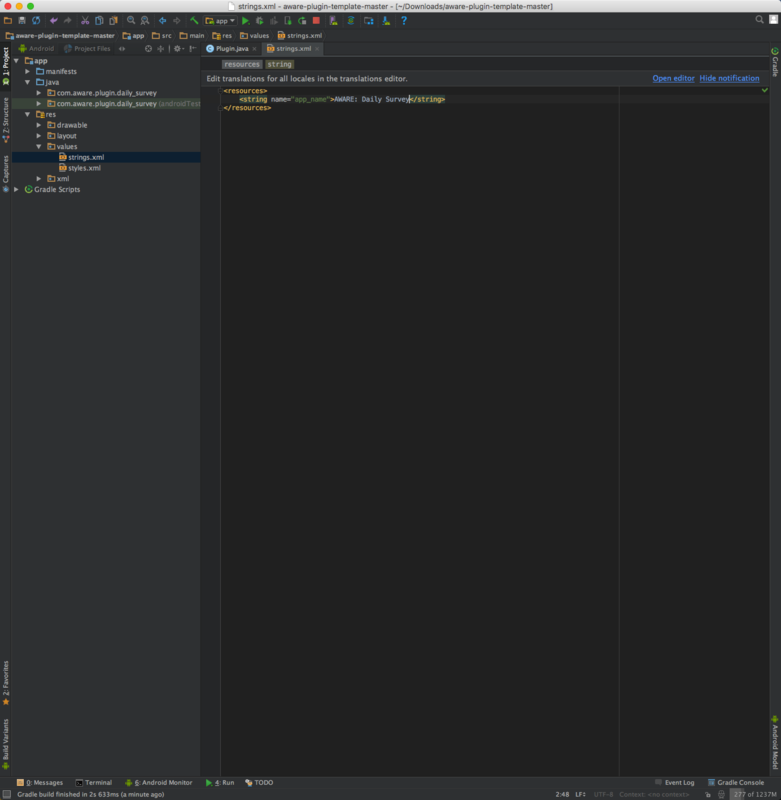 Once all the dependencies are installed (simply follow Android Studio instructions), the plugin project is ready for editing. 3. 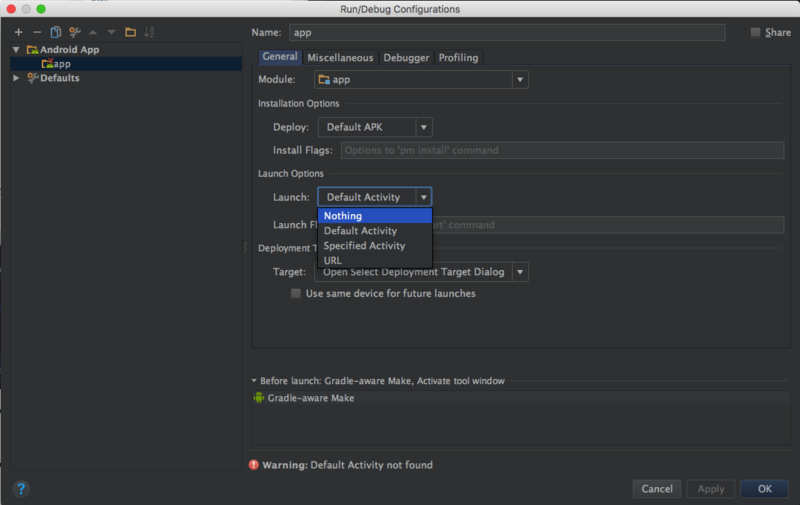 Tell Android Studio that it’s OK to have an application that does not have an Activity! 4. 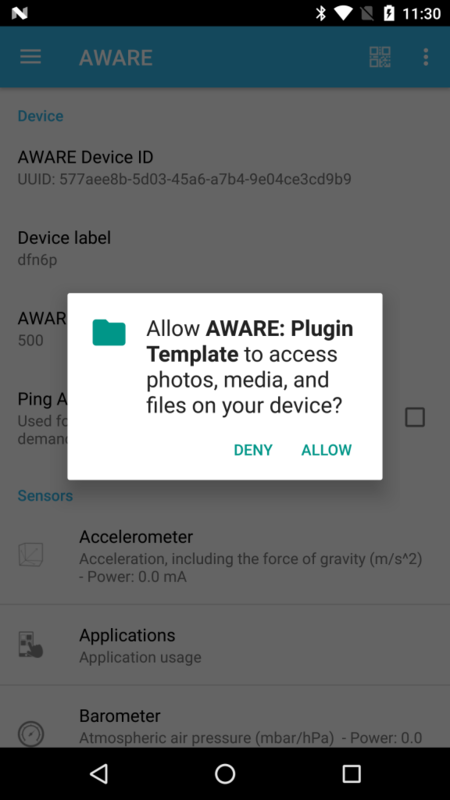 Disable Instant Run for AWARE Plugin development. Access to the storage space is mandatory to every plugin, otherwise we could not read existing data, save new data, etc. 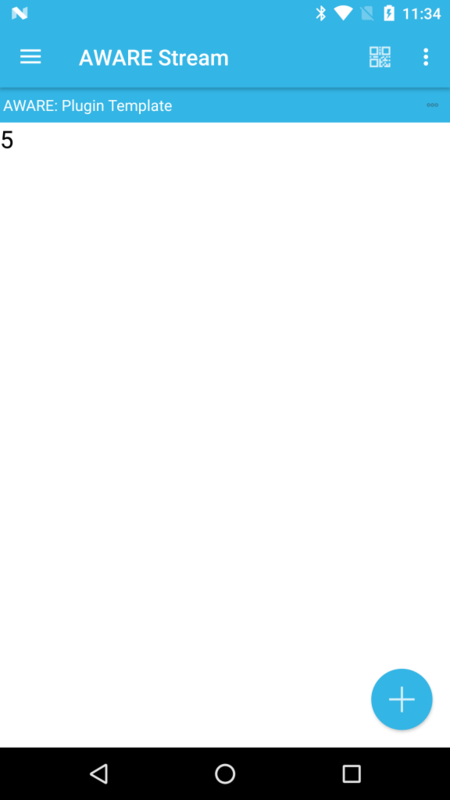 As such, any plugin automatically has this permission as default in the REQUIRED_PERMISSIONS variable on the Plugin.java class. This shows the ContextCard.java output (it’s a simple View). 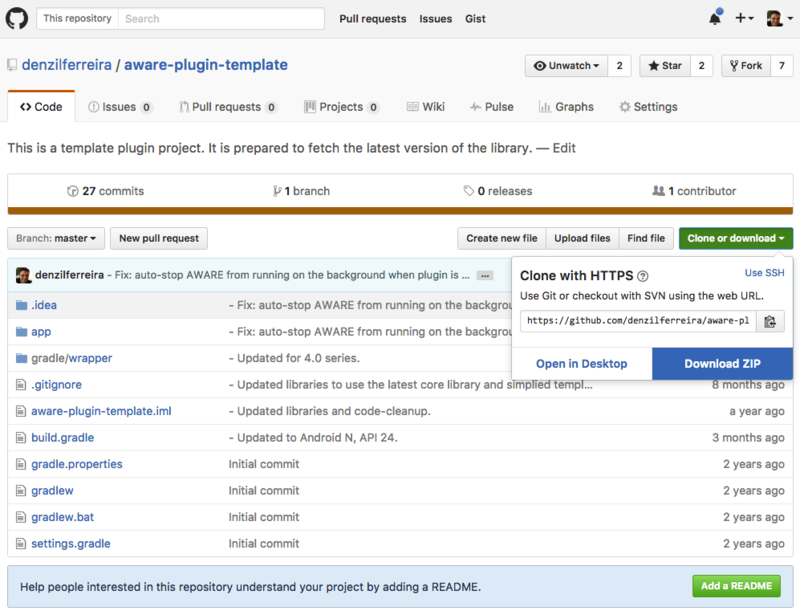 It’s here you can summarize and visualise the data your plugin may collect. 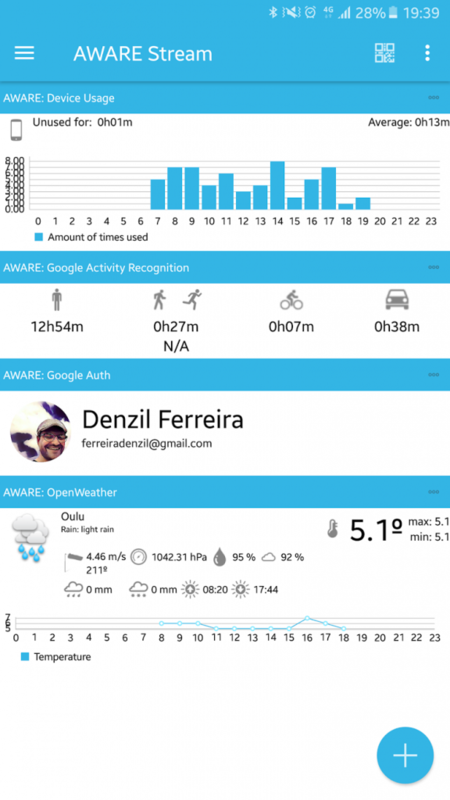 It serves to also to inform the usefulness of the plugin’s collected data. 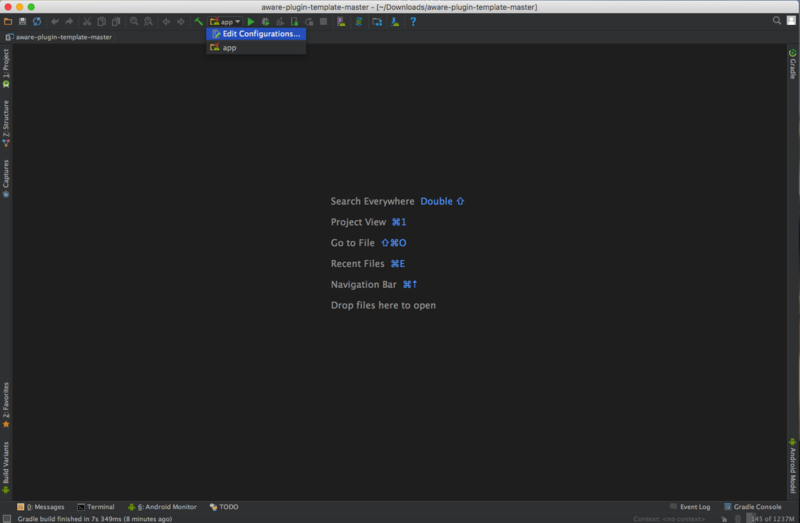 On the right, pressing the (…), takes you to the Settings.java interface, where plugin’s parameters can be changed. Depending on the plugin, you get a different set of parameters. 6. 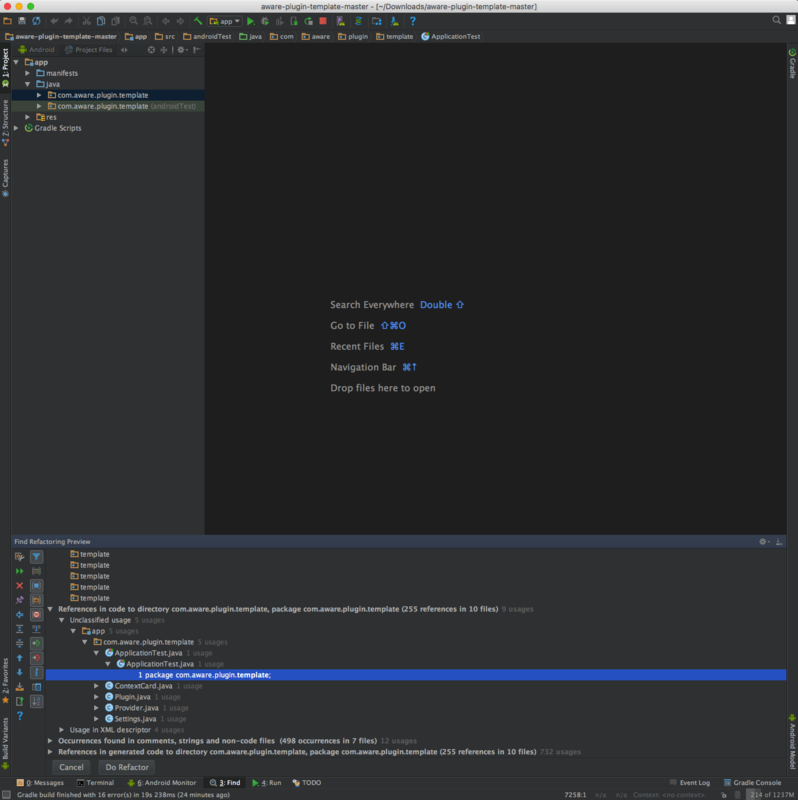 Modifying the template: showing a questionnaire every day at 8AM and another one at 9PM.